I was only a boy in ’69 but I idolized every moment. Terrific Tom was everything to me on the mound. The slow walk out to the mound, silted sand, fine like lunar dust with cleat marks and the hole behind the rubber, the white pinstripe uniform and royal blue sleeves extending from his broad shoulders. He lines up in front of the green outfield fence, the number 410 painted on the wall behind him. I study every movement of his overhead windup, the way he pushes off the hill with his powerful legs. Once he shook my hand at a defunct Department store. I held it in my hands in amazement, wouldn’t put it down for days, but two weeks later I played with it in the street. I told my friends to be careful with the ball–not to hit it so hard. But the other kids knew how to hit a ball hard. The ball scraped along the pavement and Tom Seaver’s signature scuffed off. It’s a summer Sunday afternoon, my family is invited to another family’s house for a barbeque. We gather on a deck next to their built-in pool. On the large color TV inside the den, The Mets play the Dodgers at Shea. From the deck I see Jerry Grote fire the ball back to Seaver. The umpire crouches behind his over-sized chest protector. You can hear the hum of planes over Shea. On the large TV, the color is so vivid, I can almost smell the infield grass. Near the top of the fifth inning, the crowd has a slow even cheer. You can hear it all over the television, interrupted by Lindsey Nelson’s slow even drawl. Back outside, I’m afraid to dive into the pool. Afraid to put my face under, in strange chlorinated water in a pool I don’t know. I want to impress my mother and dive off the diving board into the eight feet of water, but I’m afraid to swim such a great distance, afraid to open my eyes under the murky water. 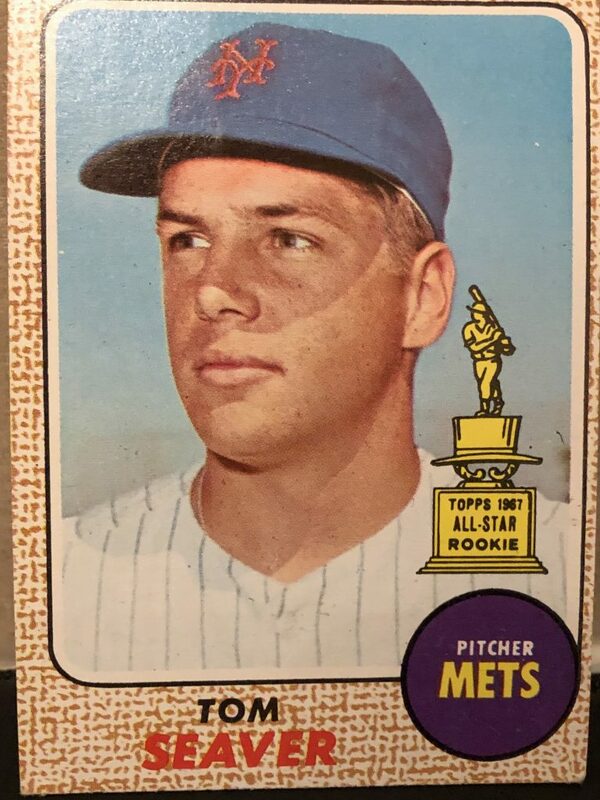 I see Seaver wind up. I see him deliver. He strikes out another man with a fastball and Grote whips it to third. To decrease the distance of my swim, I jump off the short side of the board. I submerge into the cold water, close my eyes and doggie-paddle to the edge of the pool, scraping my knuckles on the rough cement at the edge wall. I climb out of the pool with the sting of pain on my hands, but a partial sense of victory. My mother is busy talking to her friends. I hate when she doesn’t give me her attention. I interrupt her again and again. She shakes her head. “I’m sorry, I wasn’t watching,” she says. And I want to cry. I want to leave this strange house with my bleeding knuckles. But I refuse to dive into the unfamiliar water again. I’m so angry at my mother. I promise myself I’ll never forgive her. 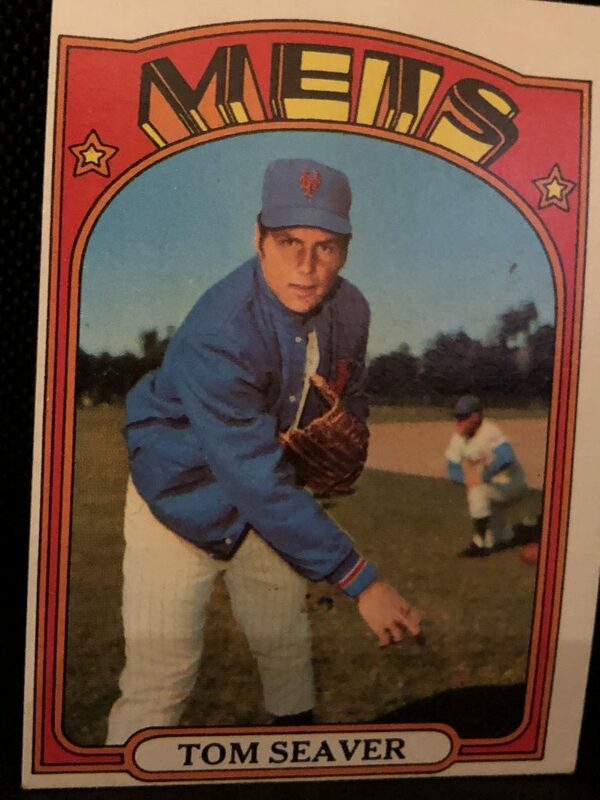 When it’s time to leave, Seaver is still on the mound. But when I’m home, Seaver is gone. A twenty minute ride home, or was it ten years?